Iran is set to build a new oil terminal outside the Strait of Hormuz in a bid to protect vital exports from potential problems in the Gulf region and to boost Caspian oil shipments. ­Head of the Iranian Oil Terminals Company Pirouz Mousavi told Iran’s Shana agency the new export terminal will be at Bandar Jask, on the Gulf of Oman where it will connect to the Caspian Sea port of Neka through a 1 million barrel a day pipeline. Given escalating political tensions with neighboring Arab states and the West, the new terminal would help Iran avoid over-dependence on Hormuz in the event of any supply issues in the Persian Gulf. Mousavi said the new terminal would enable Iran to export more oil from Caspian producers and serve as an alternative for Iran’s main export terminal at Kharg Island. “In the event of any type of problem in exporting crude oil from Kharg, this terminal can provide back up for exports”. Mousavi said the terminal will have a storage capacity of 20 million barrels and cost around $2.2 billion to build. 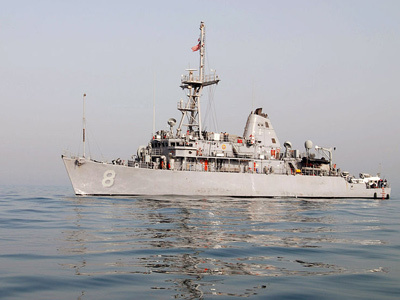 Gulf exporters depend on the Strait of Hormuz to export most of their oil and Iran’s total dependence on its narrow shipping lanes is seen as a deterrent to attempting any blockade. The Iranian oil industry is subject to a US and EU-led import ban which comes into force on July 1st with a threat of sanctions against those who continue to buy Tehran’s oil. 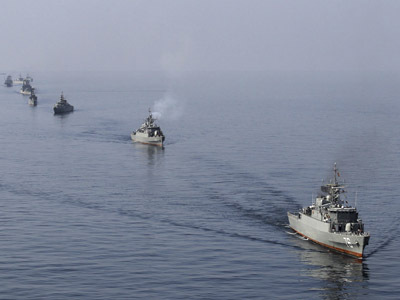 In response, Iran has threatened on more than one occasion to blockade the Strait of Hormuz, which is used for the more than a third of the world's seaborne oil trade. The United Arab Emirates hopes to open a new pipeline to the Gulf of Oman this year and many companies are boosting storage facilities across the water from Bandar Jask, spurred by threats to shipping through Hormuz. Iran has invested in import capacity at its Caspian port of Neka to enable crude swaps with Turkmenistan and Kazakhstan, but it currently consumes the oil domestically due to the lack of necessary pipeline links with ports in the south of the country, according to the U.S. Energy Information Administration. Over the weekend Iranian oil officials said a new major oil field was found deep under the landlocked Caspian Sea containing up to 10 billion barrels of oil. 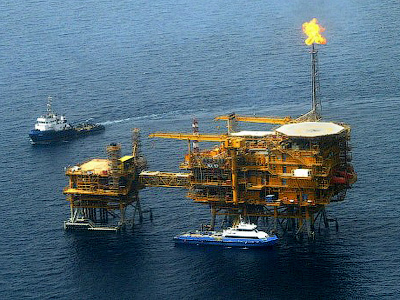 Iran has no experience of producing oil from such deepwater fields, which Shana said are at a depth of 2,460 meters. Iranian oil minister Rostam Qasemi said on Monday that in the shorter term, the country's oil production capacity would rise by 1.5 million bpd by 2015, compared to around 4 million bpd now.